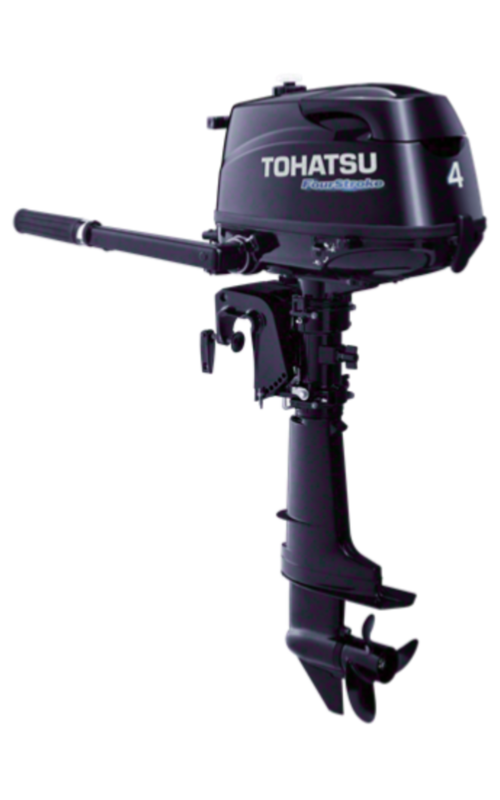 Tohatsu 4HP four-stroke outboard, The perfect tender or auxiliary outboard. 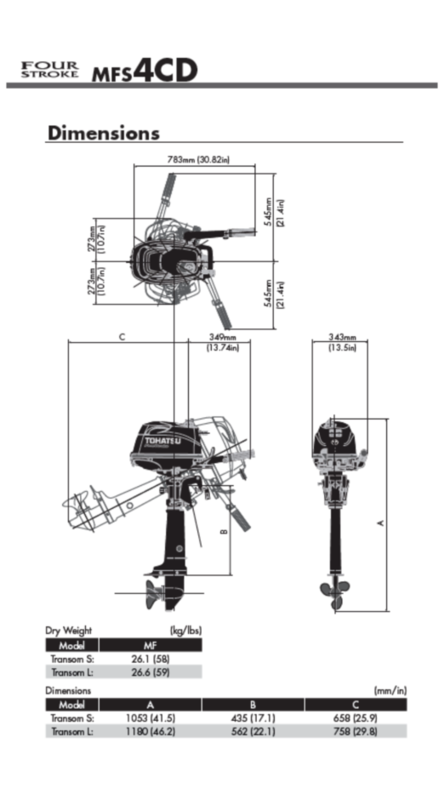 Perfect for small tenders or as an auxiliary to your main outboards power. Shaft length available, 15" (Short), 20" (Long).